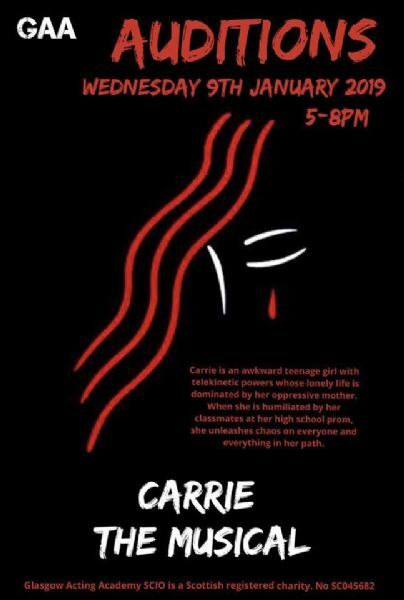 Our 2019 summer musical will be "Carrie"
Auditions will take place on Wednesday 9th January from 5pm-8pm and is suitable for ages 12-18. If you would like to book an audition slot, please get in touch info@glasgowactingacademy.org or 0141 237 7140. Audition packs are available from the GAA office.